Last July we took a look at summer Yellow-legged Gulls, focusing on the identification of juvenile birds, their distribution and occurrence. 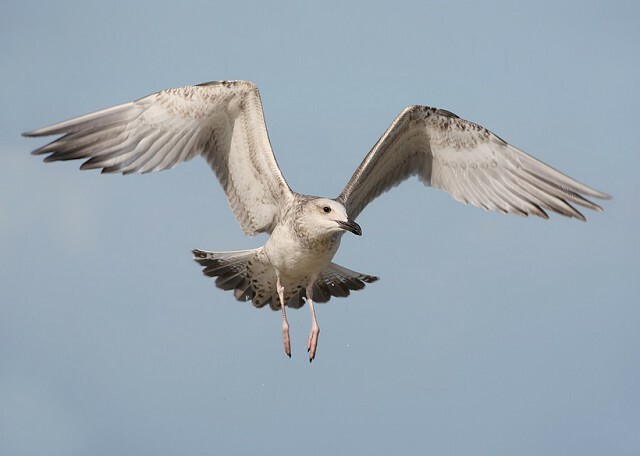 To complement it, this article will examine Caspian Gull (Larus cachinnans), a species which is becoming an increasingly familiar sight during the summer months as identification awareness and general interest in the taxon increases. Elevated to full species status by the BOU at the end of 2007, Caspian Gull was previously treated as a subspecies of Herring Gull and, gull enthusiasts aside, was largely neglected by British birders. In fact, just two decades ago and prior to Martin Garner's 1997 papers in British Birds (90: 25-62 and 369-383), it was essentially an unknown entity. In recent years the interest in gull-watching ('gulling') has increased exponentially and that, combined with the recognition of Caspian Gull as a taxon in its own right, has seen this attractive and elegant gull become an altogether more desirable and recognisable sight across Britain. Caspian Gull's core range extends eastwards from across the Black and Caspian Seas and into Kazakhstan. Over the past couple of decades it has expanded westwards at a considerable rate and now breeds in sizeable colonies across Poland and even eastern Germany, where it readily hybridises with both Herring and Yellow-legged Gulls. Birds from the western reaches of its range routinely disperse westwards after the breeding season to spend the winter across western Europe, and it is in the winter months during which the species is most regularly searched for in Britain, with numbers typically increasing from November. 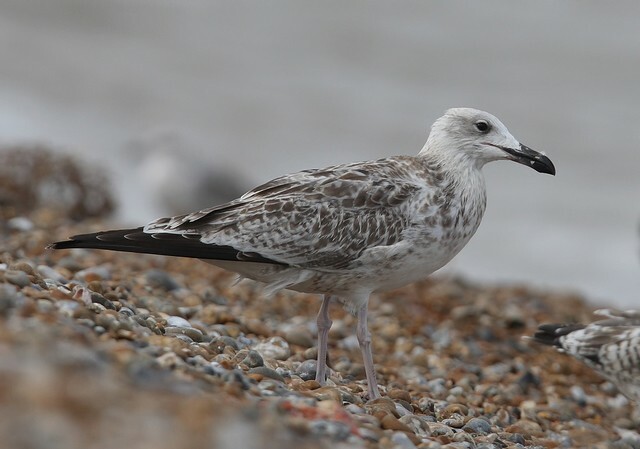 However, in a similar fashion to Yellow-legged Gulls, Caspian Gulls can be found across Britain from July onwards as the first post-breeding birds begin to arrive. Though the odd non-breeding immature may linger in Britain throughout the spring and early summer, now is a great time to be searching for returning adults while, crucially, July and August are the only months in which freshly plumaged juveniles may be encountered. Despite the increase in identification awareness, this age class is still rarely observed in Britain and any encounter is one to cherish. 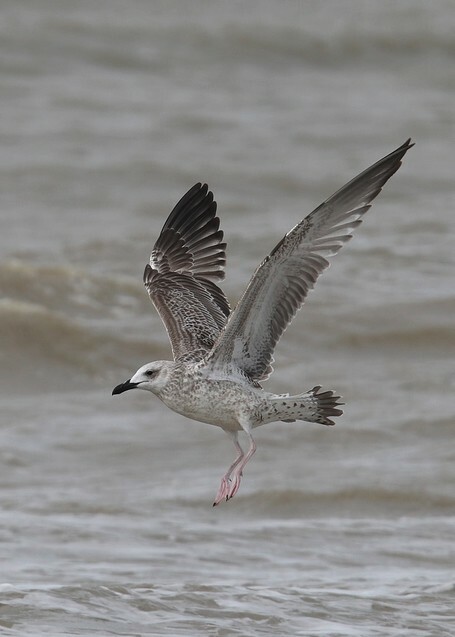 As with other large white-headed gulls, young Caspian Gulls in mid-summer are often unrecognisable from equivalent plumages encountered during the colder months, making searching for them something of a different ball game. While they can be particularly distinctive in first-winter plumage just a few months later, fresh juveniles tend to be somewhat subtler in mid to late summer. That said they are still readily identifiable, the species' elegant and leggy structure often making them quite distinct. 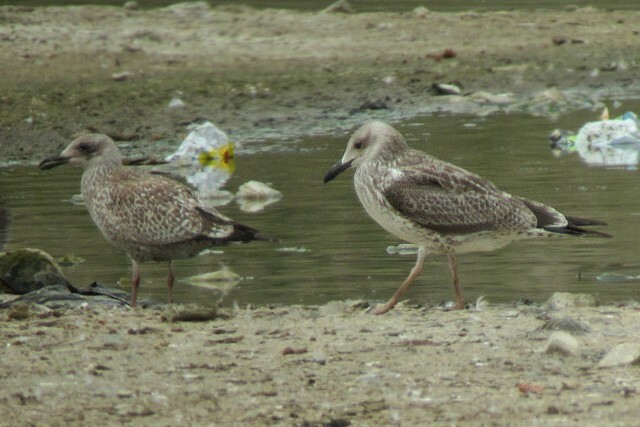 The first juvenile Caspian Gulls begin to appear towards the end of July, though they could feasibly occur considerably earlier in the month as birds begin to fledge in colonies across their range in June – as the species' breeding range continues to extend westwards, it is likely that juveniles will turn up earlier in the summer in the future. As with Yellow-legged Gull, the earlier average fledging date of Caspian Gulls compared to local Herring and Lesser Black-backed Gulls means that birds will tend to look a little more mature than their locally fledged congeners with wear particularly apparent, even by late summer when local juvenile gulls will still look pristine. That said, early commencement of scapular moult tends not to be as apparent in cachinnans as it is in michahellis, with many still in almost complete juvenile plumage throughout the first half of August. Juvenile Caspian Gulls are subtle yet distinct at the same time. The head and body generally appear somewhat cleaner than in juvenile Herring Gull, with fewer brown blotches and streaks. The underparts can be quite extensively white and the head quickly pales as August progresses. The upperparts are a washed-out uniform brown, appearing less contrasted than in Herring, Lesser Black-backed and Yellow-legged Gulls — this no doubt accentuated by the rather indistinct pale fringing to the scapulars as well as the nondescript, greyish-brown base colour. Some of the lower scapulars are quite long, and can appear to 'droop'. Most Caspian Gulls lack any obvious bold notching on the greater coverts; many have a diffuse pale tip to the feathers, while others have fine notching that can appear quite indistinct. This increases in its extent towards the outer greater coverts. Obvious notching, as seen in juveniles of other species, may well indicate mixed ancestry. The brown tertials generally show a diffuse pale fringe, this varying in its extent but generally more extensive than in Yellow-legged Gull, which usually shows a thin and neatly demarcated border. The handsome structure of the species should also be apparent in many (but not all) cases: long, spindly legs, long wings, long neck and small, pear-shaped head with a long, parallel-sided bill. It's well worth noting that some male Caspian Gulls can be quite bulky beasts, lacking the conventional elegance expected of the species. Furthermore, the structural qualities of both cachinnans and michahellis overlap quite considerably and thus anatomy alone is best used to help build an impression rather than making conclusions when confronted with a potentially interesting juvenile gull. In flight juvenile Caspian Gulls are also quite recognisable. 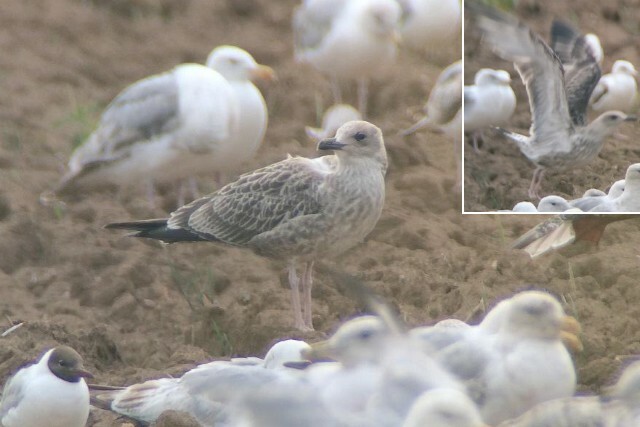 Superficially similar to Yellow-legged Gulls from above, the pale window to the inner primaries is generally more prominent than in that species, but less than in Herring Gull — though it varies and can approach michahellis. It is from below the cachinnans are generally at their most distinctive. 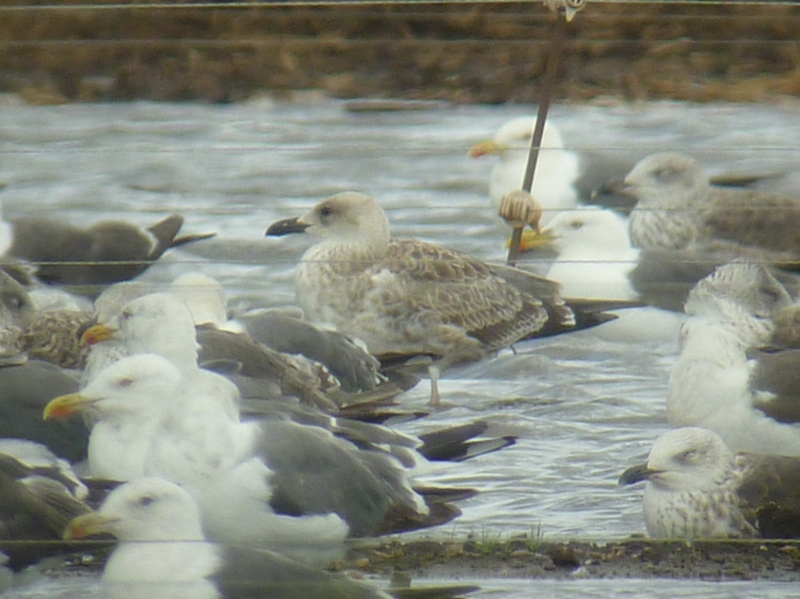 In contrast to Herring, Yellow-legged and Lesser Black-backed Gulls, cachinnans shows a quite white underwing. The axillaries are generally off-white with variable brown markings — in extreme cases approaching michahellis, but usually noticeably paler. The undersides to the flight feathers are also generally more silvery than in other species, which considerably enhances the impression of a pale underwing. Tail pattern is quite similar to michahellis and variation ensures there can be some overlap. The rump, uppertail coverts and tail feather bases are quite clean white, generally with few darker markings, contrasting with the clearly demarcated black tips that form an obvious tail band. Generally the tail band of cachinnans is a little more consistent in depth across the tail feathers than in michahellis, which often significantly tapers towards the outer tail feathers. However this varies quite considerably in the two species and, with noticeable overlap, should not be treated as a key separating feature. 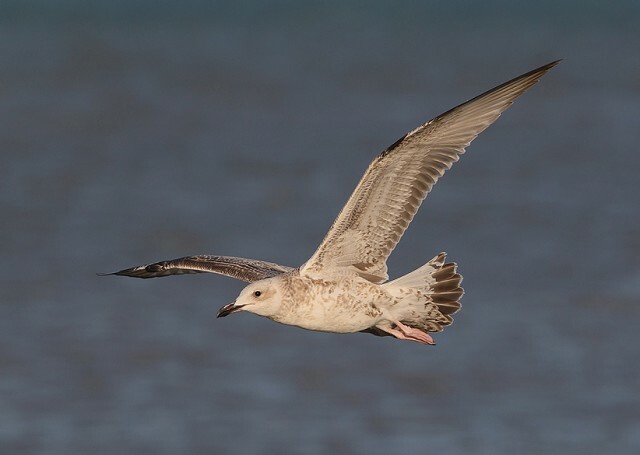 Caspian Gulls generally show an easterly bias to their distribution across Britain, and it's no different in late summer as the east coast receives the first returning birds. 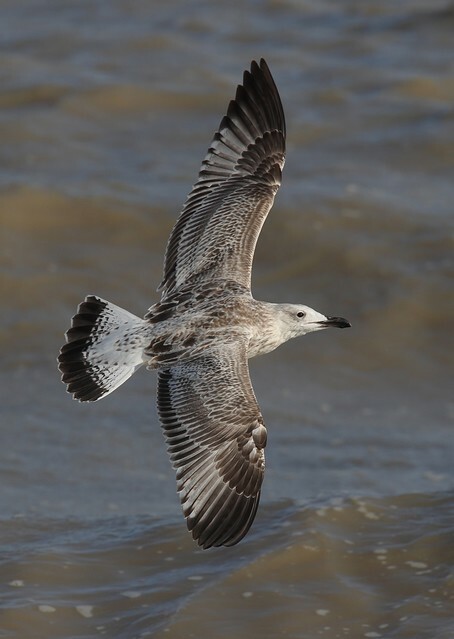 The tips of Essex and London have traditionally proven happy hunting grounds for summer Caspian Gulls but as identification awareness and interest in gulls has spread, recent years have shown that just about any concentration of gulls in the South-East, East Anglia, the Midlands and English east coast as far north as Cleveland may produce sightings. Caspian Gulls also appear in small numbers along the south coast, though rapidly become quite rare from Dorset westwards. In the north-west of England, the Mersey Estuary remains the sole regular site for Caspian Gulls though there are occasional records from Lancashire. The species remains extremely rare in Scotland and Wales. 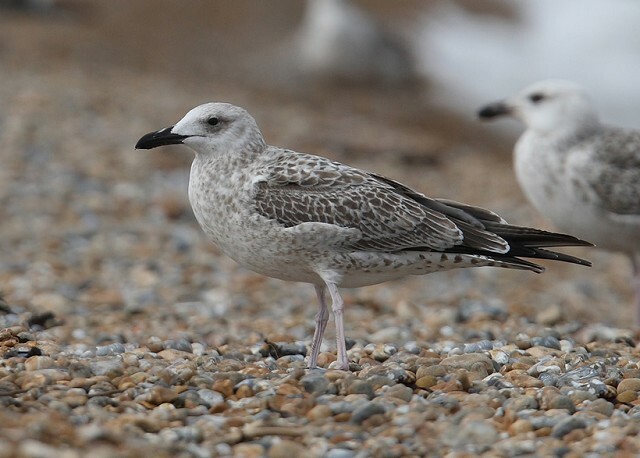 Caspian Gull occurrence is much less weighted towards London and the South-East than it is with Yellow-legged Gull, and the smaller overall population means that sites in the likes of Cambridgeshire, Lincolnshire and even Yorkshire offer as much chance as their counterparts further south. In Essex the area around Vange and Pitsea is notorious for its ability to produce Caspian Gull sightings. Although the landfill site here is strictly private, birds use the adjacent Wat Tyler Country Park, Vange and Bowers Marshes and Hole Haven Creek to bathe, preen and rest. Further towards London, Rainham Marshes and the adjacent Inner Thames can also be productive from late July onwards. In Kent, the Dungeness peninsula routinely attracts Caspian Gulls but overall gull numbers are very changeable and weather-dependent. Further north the Blyth Estuary and Minsmere RSPB, Suffolk, routinely attract Caspian Gulls from late summer and occasionally showy individuals may appear at the River Blyth mouth just south of Southwold. The pig fields of the Breckland are also productive and the roost at Livermere Lake routinely attracts birds. 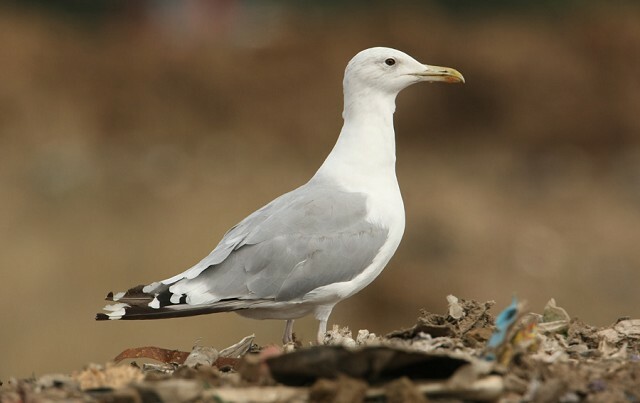 Any landfill site, waterbody or other habitat where gulls concentrate across the Midlands and north-east England may produce sightings, although the tips and reservoirs of Cambridgeshire are particular hot-spots. 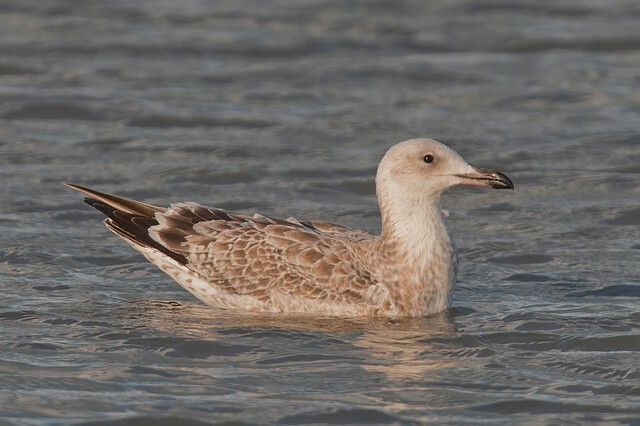 In 2014 coastal East Yorkshire — in particular the Flamborough Head area — produced an excellent run of sightings including multiple juveniles, emphasising the point that birds can be found among any concentration of large gulls and that coastal localities (and counties) may be particularly productive at this season as birds arrive from the Continent. Gull movements are quite dynamic throughout the late summer period which ensures that all sites — not just coastal — witness considerable turnover in the make-up of their populations at this time, making regular visits to local sites recommended. Finding Caspian Gulls in summer represents a somewhat different challenge to searching for them during the winter months, but an exciting one nonetheless. Despite an upturn in records due to improved observer awareness and coverage, fresh juvenile cachinnans remains a scarce and sought-after sight in Britain. With moult to first-winter rapid beyond August, the coming five weeks represent the only opportunity to study this subtle yet distinctive plumage on British soil. Routine checking of your local gull hot-spot between now and early September could easily bring handsome reward!